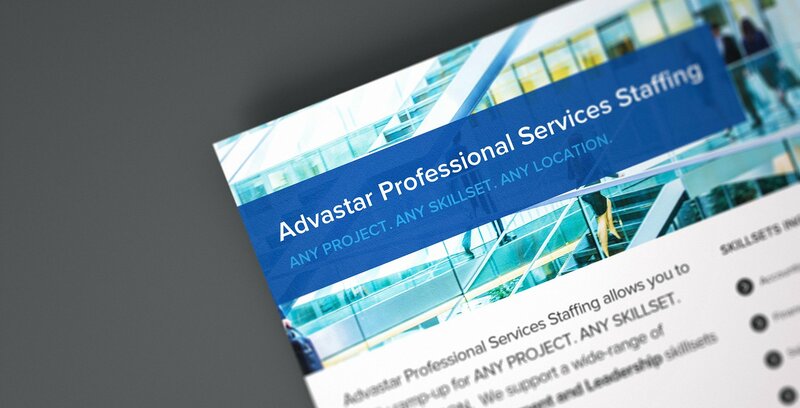 Advastar Recruitment is a Kansas City-based staffing company. 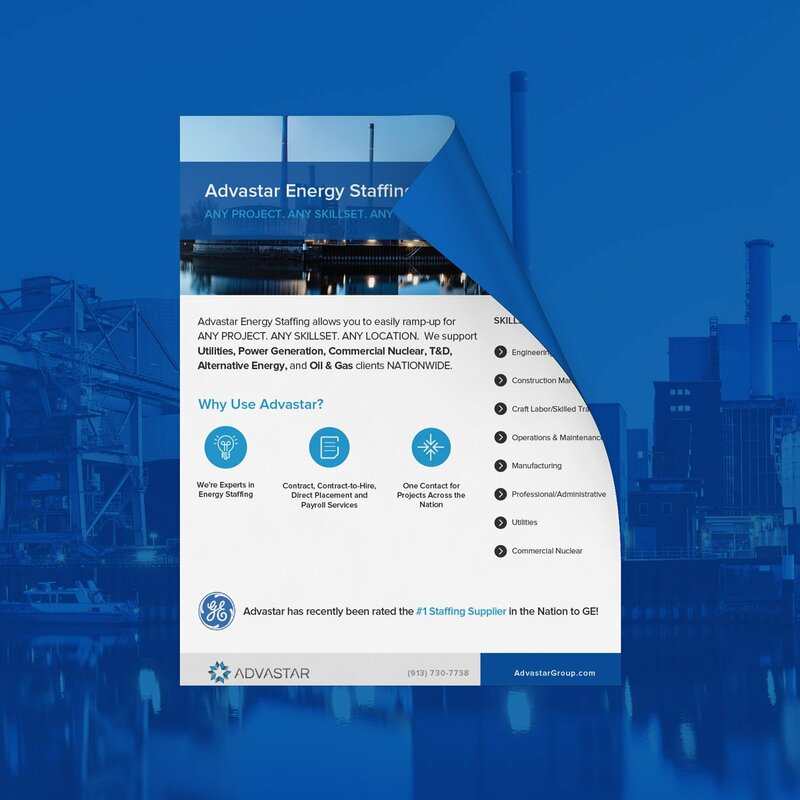 We were appointed to create a series of one-pagers that present the firm’s offering to its prospects and give an insight into its specialisations. 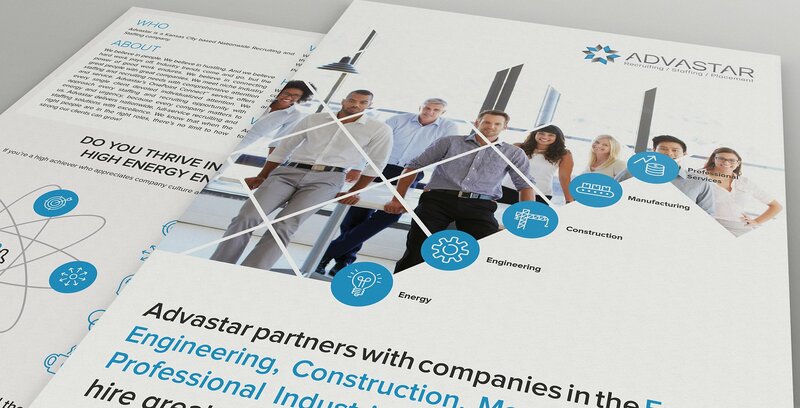 The project’s goal was to show an established, professional, detail orientated image of Advastar in its marketing communication material. 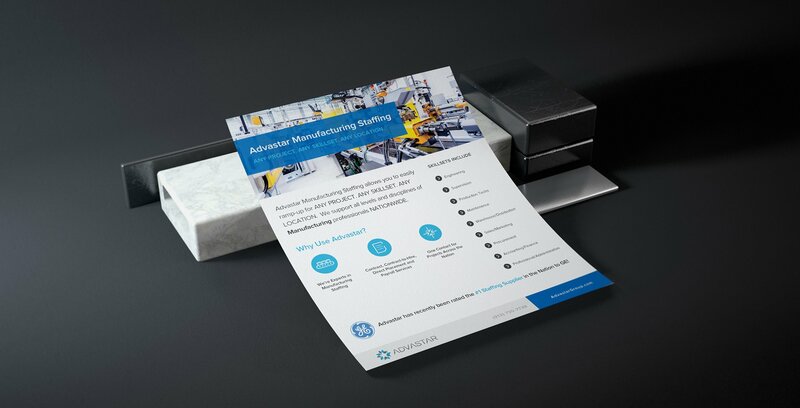 The client also required a trade show flyer directed to potential internal hires. 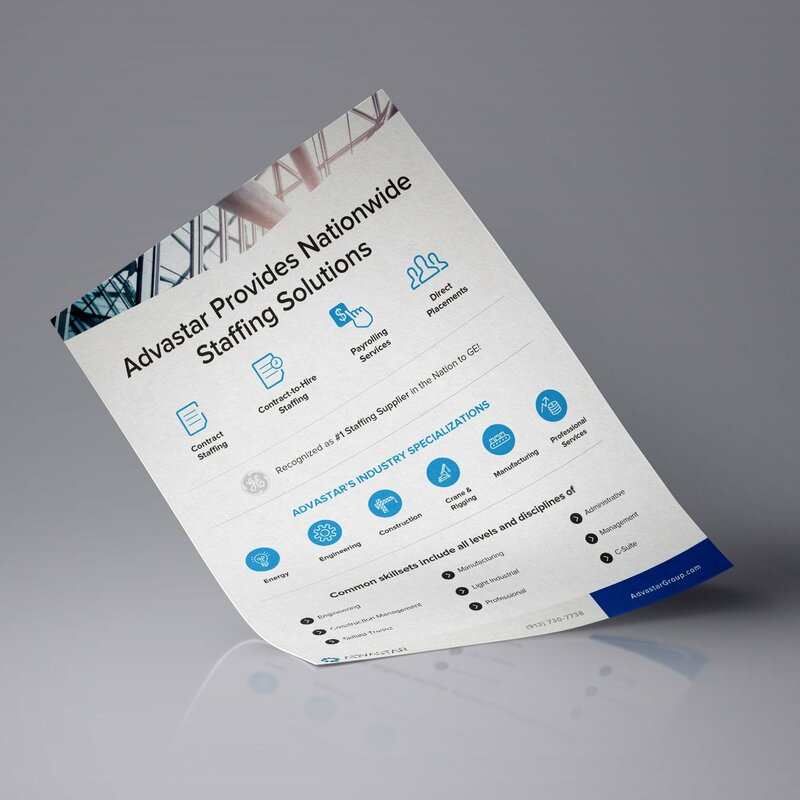 We updated Advastar’s corporate identity to mirror the company’s evolving brand position and create a modern and consistent marketing suite that gives Advastar a bold presence in a traditionally conservative industry. 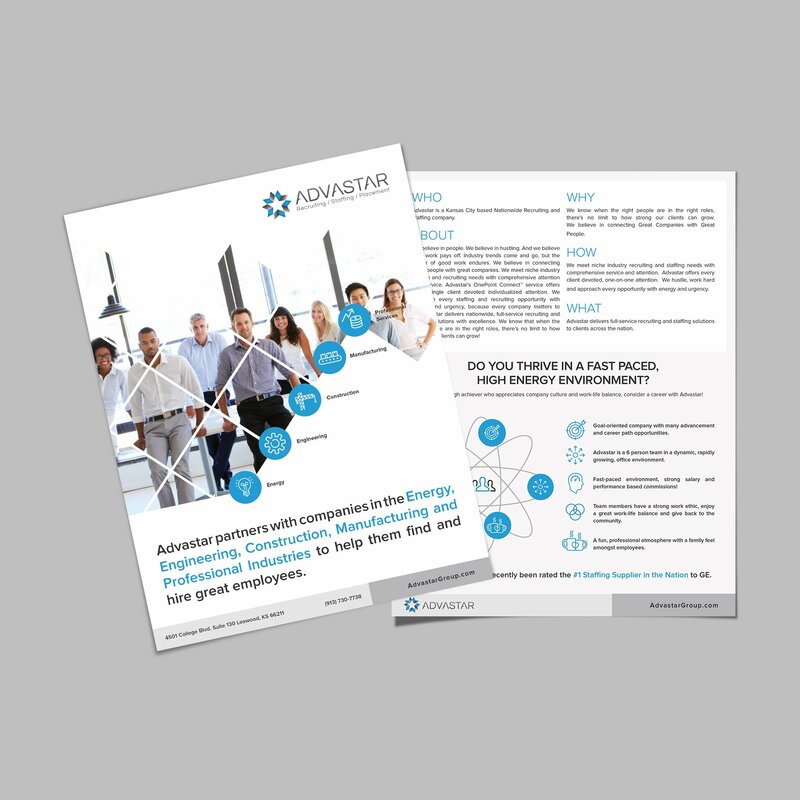 Using images and iconography, we conveyed the client’s message with simplicity and clarity. Giovanna and the Munch Studio team are my go to resource for all our internal/external marketing needs. Giovanna has great ideas and perspective and our projects are always completed on time and budget. I’ll continue to use Munch Studio’s and am quick to refer them to others.